At In The Wild, our aim is to make shopping for Bareboat Sailing Yacht Charters or Bareboat Motor Yacht Charters worldwide, simple and pleasant whether you have chartered before or are new to bareboating. With our lists of all the available yachts in each cruise area in one convenient location, and the expert guidance of a charter broker, comparing and finding the perfect bare boat is easy. 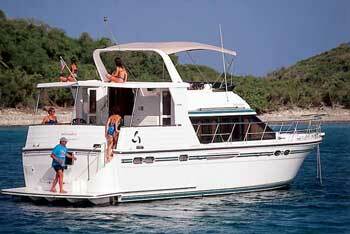 You can start by browsing the bareboat fleets to your left and then fill out an Information Request. A broker will contact you with options and will be available to discuss your specific desires and find a charter yacht that’s the right fit. If you are unsure of the destination, browse some sample itineraries for the destinations listed above, and discuss the alternatives with your broker. Our broker staff inspect the bareboat fleets each year and are up to date on the latest models and the condition of the charter boats available for rent. Our advice to you is absolutely free. Our aim is to find you the unbiased best for your needs and desires. Let us help make your yacht charter search easier and safer. 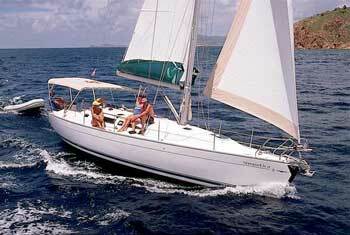 Bareboat Sailing Certificates are useful but not mandatory. Each charter company we represent has a sailing résumé form for you to fill out indicating your experience. If you are a first time bareboat charterer, we recommend that you gain approval by the charter company before any money is paid. We will work with you through the process. See the above link if you are interested in obtaining charter experience or bareboat certification before renting a bareboat. All the safety equipment including; fire extinguishers, lifejackets, and first aid kit(s). 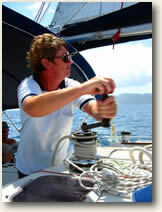 The VHF radio system and proper mayday instructions. If you are not familiar with the cruising area, allow an extra hour for the charter company to meet with you for full chart briefing.